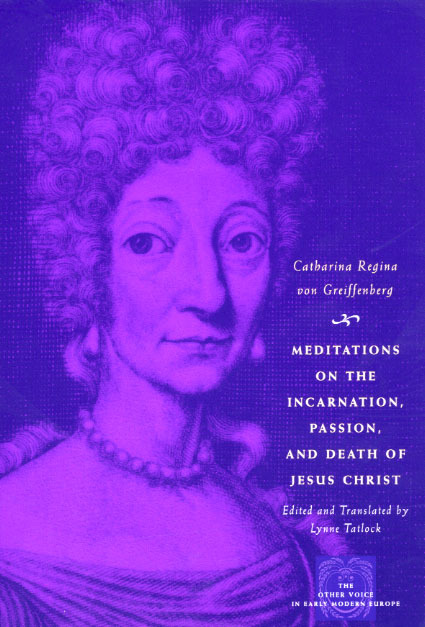 Read by Protestants and Catholics alike, Catharina Regina von Greiffenberg (1633–94) was the foremost German woman poet and writer in the seventeenth-century German-speaking world. Privileged by her social station and education, she published a large body of religious writings under her own name to a reception unequaled by any other German woman during her lifetime. But once the popularity of devotional writings as a genre waned, Catharina’s works went largely unread until scholars devoted renewed attention to them in the twentieth century. For this volume, Lynne Tatlock translates for the first time into English three of the thirty-six meditations, restoring Catharina to her rightful place in print. These meditations foreground women in the life of Jesus Christ—including accounts of women at the Incarnation and the Tomb—and in Scripture in general. Tatlock’s selections give the modern reader a sense of the structure and nature of Catharina’s devotional writings, highlighting the alternative they offer to the male-centered view of early modern literary and cultural production during her day, and redefining the role of women in Christian history.